What better day than Valentine's Day to introduce you to my new product instore at the Studio! 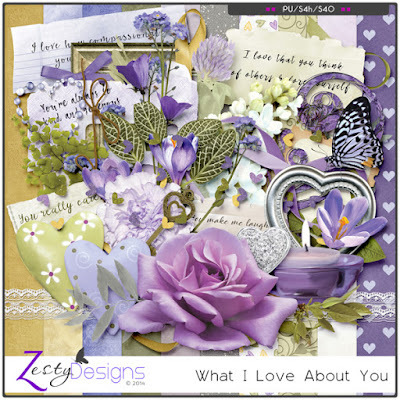 My very newest release is "What I Love About You". This is a very pretty more-than-a-mini that I did in collaboration with my bestie, Manu, of Manu Scraps. Manu has worked with the same palette and also has a more-than-a-mini newly released. For those who purchase both, paying current sellinig price or list price (no points allowed), we have a special bonus gift of six gorgeous journal cards. "What I Love About You" is currently 30% off. 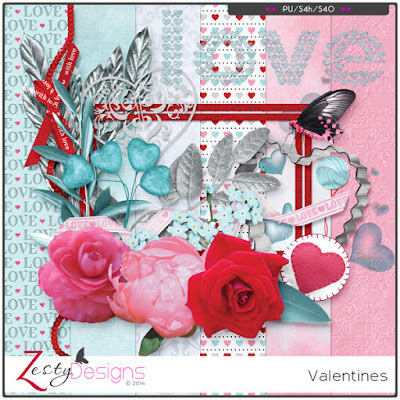 To continue with the Love theme, I have another couple of mini-kits - "Love Always" and "Be My Valentine". These are both 30% off at present as well. Speaking of Love, what do you Love? I love gardening, so as part of the Store Collection "Follow Your Heart", I made a collection based around gardening called "Love Of Gardening". With the warmer weather of Spring, it will soon be time to be outdoors in the garden! My collection has six separate packs as well as the kit and also the complete bundle. The packs and the kit are 30% off right now but the bundle is the best buy, with over 50% off. Here is the LINK to my store where you'll find all my products, both for Personal Use and Commercial Use. Thank you for taking the time to browse through my new goodies. Have a wonderful Valentine's Day - I hope someone makes you feel ultra special!